Here's a picture I drew of Rouge the Bat in a gymnastics outfit based on her outfit from "Sonic Heroes". It consists of an indigo leotard with a pink stripe down the middle and maroon shorts, white gloves with pink bracelets and a pair of indigo slippers. Is it because it more resembles her trademark outfit? 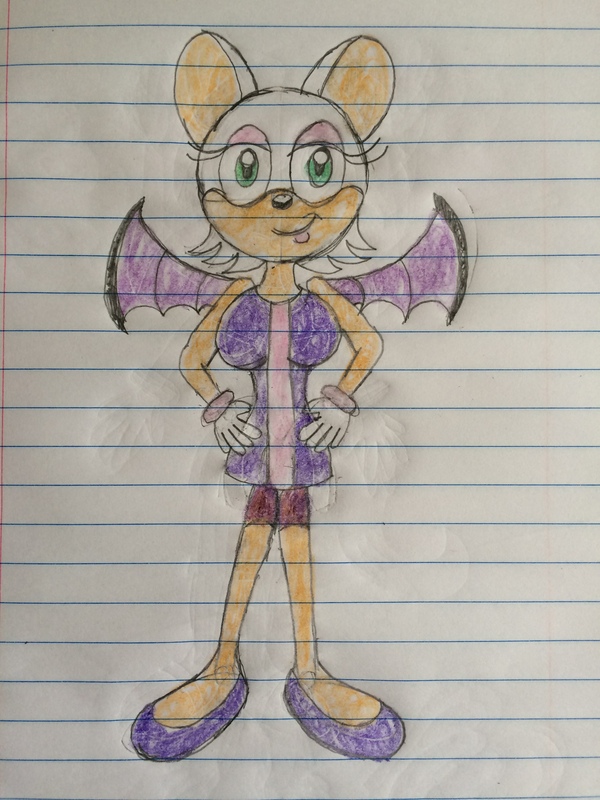 Could be, I mean I do prefer her trademark outfit more than her Heroes one tbh, but I liked many different outfits she wore before, Rouge is stylish and I always admired that, one of her alter outfits in Sonic Rivals 2 really inspired me.